↑ "Territory". 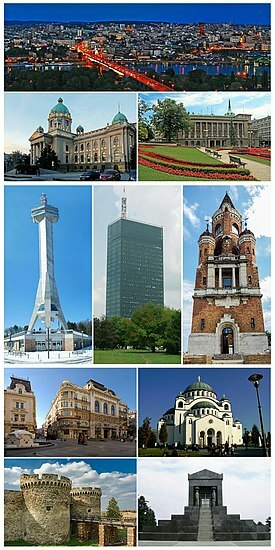 Official website of City of Belgrade. สืบค้นเมื่อ 2009-05-06. ↑ "Geographical Position". Official website of City of Belgrade. สืบค้นเมื่อ 2007-07-10. ↑ "The Vinča Culture: ('Old Europe')". ancient-wisdom.co.uk. ↑ "Ancient Period". City of Belgrade official website. ↑ "Mayor". City of Belgrade official website. หน้านี้แก้ไขล่าสุดเมื่อวันที่ 9 มีนาคม 2562 เวลา 02:37 น.